In Australia, Halloween festivities seem to get bigger every year. This Halloween join in on the fun and treat yourself to a frightfully delicious cocktail with one of our top 4 picks. 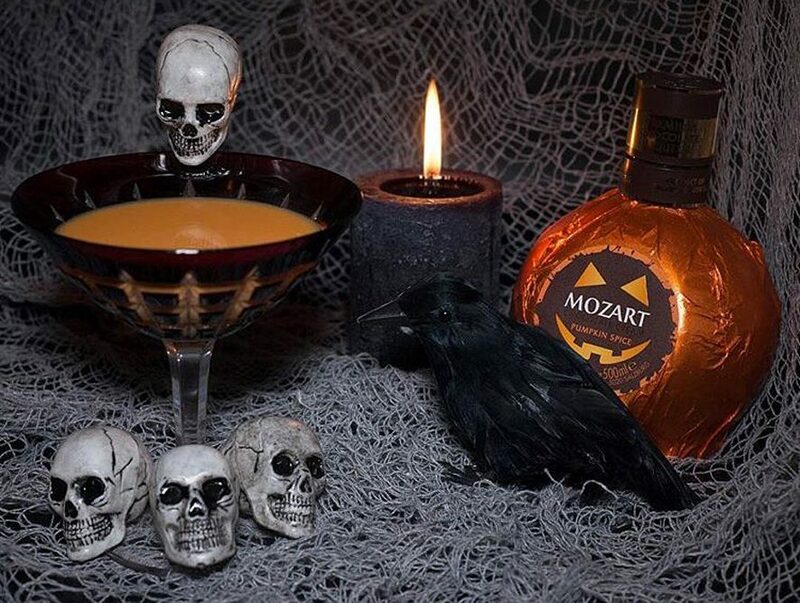 Mozart Chocolate Cream Liqueur Pumpkin Spice is the favourite and perfect for Halloween drinks. Mozart Chocolate Cream Pumpkin Spice is a distinctive composition of chocolate, caramel and natural pumpkin spice. This combination along with other high-quality ingredients such as cinnamon, clove, vanilla and a ghostly whisper of chilli provide its unique spicy yet luxurious taste. A masterpiece of blending that will surprise even the scariest of Halloween faces! This premium liqueur is available at Dan Murphys. Try this super simple Mozart Martini. Now that’s a frightfully delicious drink! Cointreau After Dark – the name says it all – a truly wicked tasting drink! This delicious orange liqueur can be enjoyed on its own or a key ingredient in hundreds of cocktails. To keep things simple, create this wicked cocktail with only two ingredients. It will make a smooth addition to your Halloween festivities. Pour ingredients into a rocks glass over ice. Stir briefly and garnish with an orange peel! Now’s the right time to share the dark secret of Opal Nera Sambuca. Legend has it that in the early Middle Ages an Italian noblewoman gave her fiancé a black opal to take with him during his journeys at sea. Shortly before they were due to be married, news was received that her lover’s ship had been lost, with all hands drowned. For years the noblewoman mourned the loss of her lover until one day a strange man from a far-off land appeared bearing a special gift. It was a bottle of liqueur from a distant country. This liqueur was unlike any she had ever seen before. It was not transparent, as was the tradition, but raven black. The taste was exquisite, she drank the rich tasting drink, but before she could finish her glass, there at the bottom, veiled in the liqueur’s rich dark hue, was the black opal she had given her fiancé so many years before. The stranger from afar was never seen again, but the story spread across the oceans and it was not long before the black opal liqueur became known throughout the world as a drink of mystique and perfection. Best way to drink it is on the rocks. 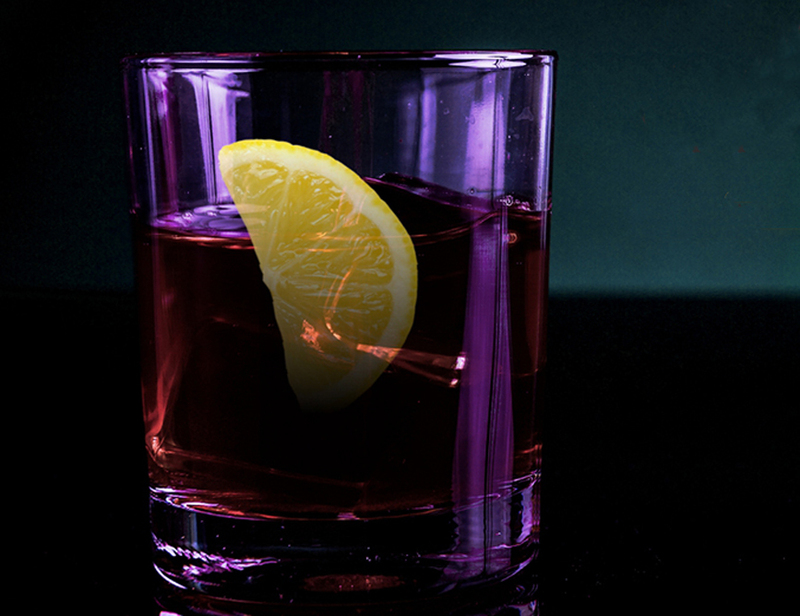 Simply pour 60mL of Opal Nera Sambuca into a tumbler, add ice squeeze the juice from a lemon wedge. Mysteriously delicious! 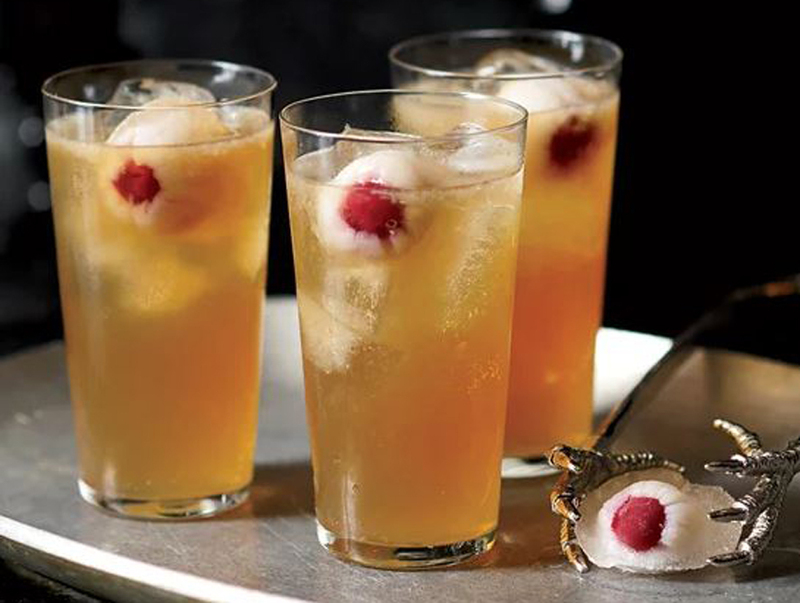 A Halloween twist on the Black and Stormy (a classic rum and ginger beer) drink could be filling a hollow pumpkin with the drink and have Floating round ice cubes made with lychee syrup and lychees stuffed with brandied cherries, to give it an uncanny resemblance to eyeballs. Click here for more cocktail recipes.